Comic-Con 2012 has just gone by and at Comic-Con Wizards held a panel revealing a considerable amount of information about Return to Ravnica and Return to Ravnica Block. They didn't go so far as to reveal any cards just yet and there will be a good amount of time before we see anything of that nature but that doesn't mean we can't speculate. So, what has actually been revealed about Return to Ravnica. Well actually a surprising amount considering we actually haven't seen any cards yet. Perhaps the first thing to mention, as it is important for talking about a lot of the other information revealed, is that the name of the second set in the Return to Ravnica Block, which will release in February 2013, will be called Gatecrash. This was announced for the first time at Comic-Con. The other big news regarding Gatecrash is that it will be a large set, the same size as Return to Ravnica. I believe this is the first time that two large sets have been made in a row as part of a Block and it has a number of interesting connotations. Perhaps the most interesting is the way that the sets will be drafted. Return to Ravnica and Gatecrash will both be drafted alone, meaning they won't mix until the final set, known as 'Sinker' currently, comes out at which time we will be drafting 'Sinker'/Gatecrash/Return to Ravnica. Somewhat unsurprisingly The Ten Guilds of Ravnica are back in Return to Ravnica, however, the way they are being spread out across the Block is different. In the original Ravnica Block, there were four Guilds in the Ravnica: City of Guilds (Boros, Golgari, Selesnya and Dimir), three Guilds in Guildpact (Orzhov, Izzet and Gruul) and the final three Guilds were in Dissension (Azorius, Rakdos and Simic). This time around, Return to Ravnica will contain five guilds and Gatecrash will contain the other five. Then the final set, currently known by its codename 'Sinker', will contain all 10 Guilds. 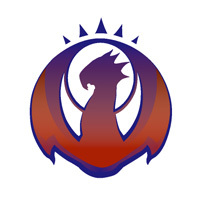 Return to Ravnica will contain the Azorius, Izzet, Rakdos, Golgari and Selesnya Guilds (symbols shown about in order). Gatecrash will contain the Orzhov, Dimir, Gruul, Boros and Simic Guilds. Test yourself and see if you can remember what each of these mechanics does. 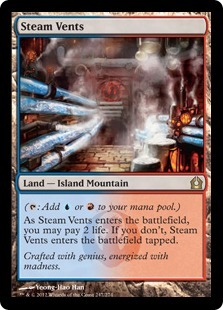 Some of these mechanics really took off, particularly Dredge, others were slightly overcomplicated, for example Haunt, and others were just plain forgettable, such as Radiance and Forecast. Obviously designing 10 equally good mechanics is pretty much impossible but I think its nice that they are going to start from the ground up on this. It was mentioned by Mark Rosewater though that it is intended that the cards from Return to Ravnica will play well with original Ravnica cards. Therefore, we can expect that Selesnya's mechanic for example will place some level of importance on creatures and Golgari's mechanic will probably involve recycling cards or the graveyard. 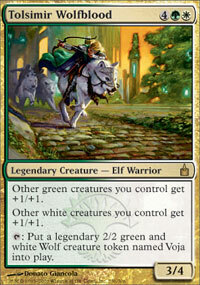 In Ravnica Block, each Guild had a Guild leader and a Guild Champion, each of which was its own legendary creature. At the Comic-Con panel, Wizards unveiled art for the new, and returning, Guild leaders stating that they would be receiving new Mythic rare cards. As of yet there is no word on whether the Guild Champions will be making a return. Let's take a look at what came before and what is on the horizon. Previously the Azorius Senate, representing UW, was led by Grand Arbiter Augustin IV. 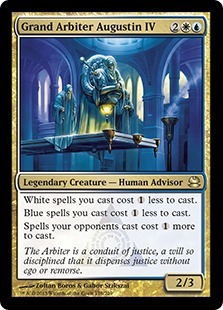 The Azorius are the lawmakers in Ravnica and are obsessed with keeping the status quo. 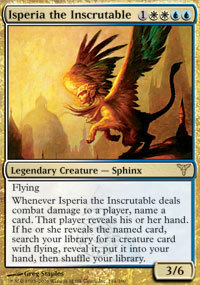 The Champion of the Guild was Isperia the Inscrutable, who in the story was a Sphinx that the Grand Arbiter consulted with. In the Return to Ravnica, we find that there is a new leader of the guild. Yes, that is one massive Sphinx that you probably don't want to mess with. Mark Rosewater indicated that this character is called Azorius like the Guild. This thing is going to be big! In Ravnica Block, The Izzet League, representing UR, were a group of slightly unhinged scientists in charge of the beneficial technologies and magics of Ravnica. The leader of The Izzet League was Niv-Mizzet, the Firemind a dragon with unmatched intellect but also a great arrogance and temper. 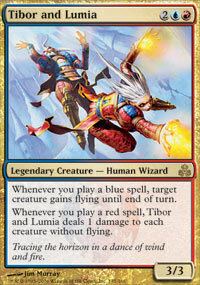 The champion of the Guild were the husband and wife pairning Tibor and Lumia. 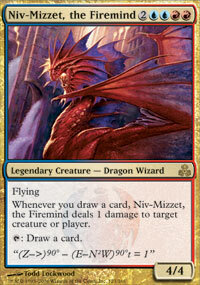 Upon returning to Ravnica we find that Niv-Mizzet is still very much the leader of his Guild. 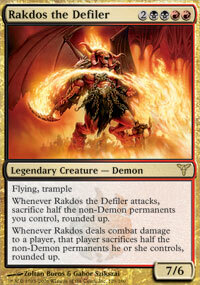 The Cult of Rakdos is based around their demonic leader, Rakdos the Defiler. The members of the cult are both hedonistic and sadistic, gaining pleasure out of the pain and killing of others. 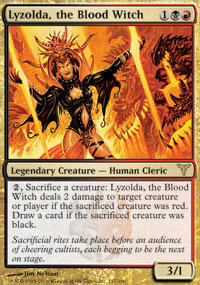 The Champion of Rakdos was Lyzolda, the Blood Witch who was in charge of the Cult's sacrificial ceremonies. The BG Guild, the Golgari Swarm, is a sect based around the life cycle, emphasizing death as a crucial part of regrowth. 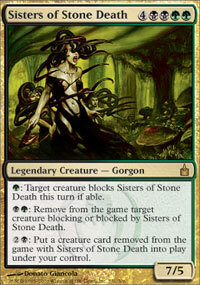 Back in the original Ravnica, The Golgari Swarm was led by the trio of Gorgons, the Sisters of Stone Death, Lydya, Lexya and Ludmillia. 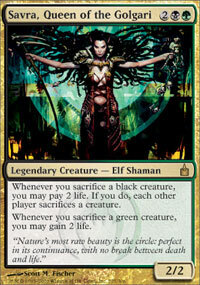 However, their rule was contested by Savra, Queen of the Golgari. Jarad, a dark elf of the Golgari, skilled in the art of necromancy. He is the brother of Savra who was killed in the original Ravnica story after she successfully dethroned the Sisters of Stone Death. 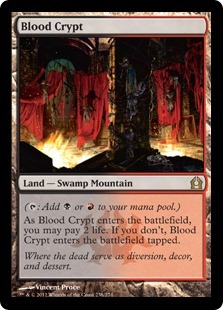 Jarad then took the role of Guildmaster but was killed by Lyzolda, the Blood Witch of the Rakdos Guild, however, he managed to successfully reanimate himself in a rare feat of necromancy. 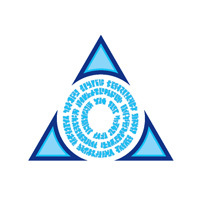 The Selesnya Conclave, the GW Guild, is an order whose members are dedicated to keeping life in balance. They suppress individuality in the belief that the good of the collective also trumps the good of the individual. 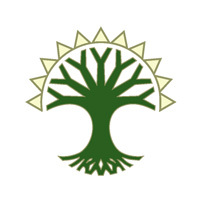 The Conclave was led in Ravnica by the Chorus of the Conclave and their champion was a preacher named Tolsimir Wolfblood. This is Trostarni (spelling? 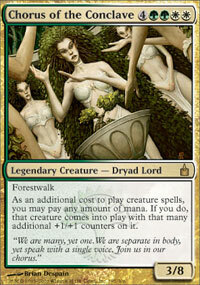 ), the triad dryad (as Rosewater called her) and the new leader of Selesnya. Mark Rosewater put a rather heavy emphasis on the Guild leader being three creatures in one. I'm assuming that might be because they have a sweet concept for the card. I guess Precursor Golem was one way of having three creatures in one but I imagine they've thought up something new for this card. 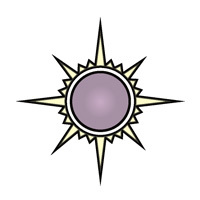 The Orzhov Syndicate, the BW Guild, are a corrupt religious guild. 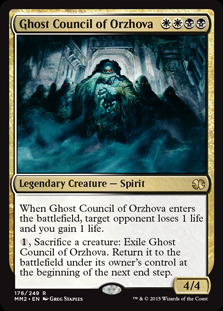 They were led by the Ghost Council of Orzhova, which is made up of the spirits of former leaders of Orzhov. The Champion of the Guild was Teysa, Orzhov Scion. The Ghost Council return but they have some changes in membership. 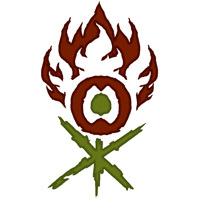 House Dimir, the UB Guild, is a shadowy guild of spies and assassins. 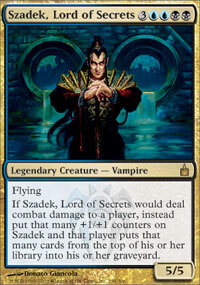 The Guild was led by the vampire Szadek, Lord of Secrets. 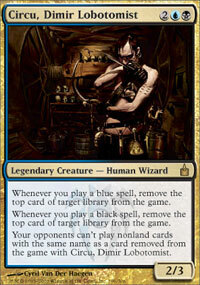 The Champion of Dimir was Circu, Dimir Lobotomist, a mysterious character who apparently lobotomised people who found out too much about the Guild. Lazav (spelling?) is the new leader of House Dimir with Szadek now dead. Lazav is a shapeshifter which is rather interesting. 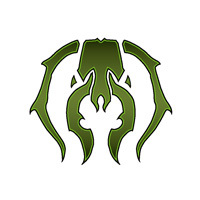 The Gruul Clans are a fractured Guild, originally the Guild of Savage Nature they ended up sidelined by the other Guilds. As a result to Guild fractured into clans all bent on destroying civilization. The strongest of the clans, Skargg, was led by the cyclops (Borborygmos). 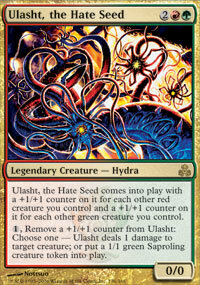 The Champion of Gruul is considered to be Ulasht, the Hate Seed. 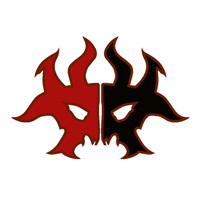 Although Ulasht isn't affiliated with the Gruul clans it is revered as a symbol of ultimate anarchy. 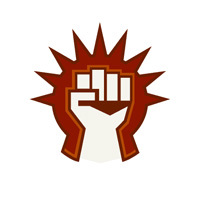 The Boros Legion, the RW Guild, are a militaristic guild who act as law enforcers in Ravnica. 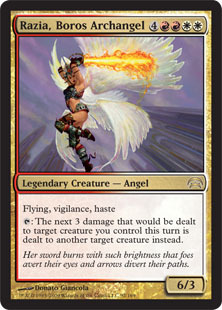 The Legion was led by the angel Razia, Boros Archangel. 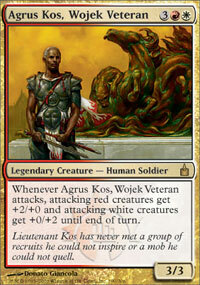 The Champion of Boros is a police officer in the Wojek League, the police force of Ravnica, named Agrus Kos, Wojek Veteran. Aurelia is the new angel in charge of the Boros Legion. 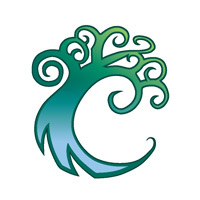 The Simic Combine, the UG Guild, was originally in charge of the natural ecosystems of Ravnica but they failed and as a result there are no areas in Ravnica left to nature. 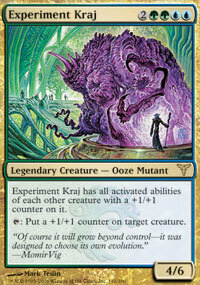 The Simic then turned their resources to creating new creatures that could survive in unnatural world of Ravnica. The guild was headed by Momir Vig, Simic Visionary and the Champion was Experiment Kraj, the culmination of Vig's experiments. Prime Speaker Zegana (spelling?) 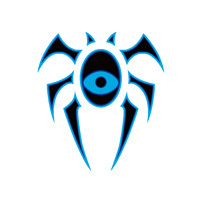 is the new leader of the Simic. Interestingly there weren't any Merfolk in the original Ravnica but there are now. The rise of Merfolk in Ravnica is apparently a key point in the story of the Block. The revealing of Merfolk in the UG Guild has also led to speculation that this set might include Kiora Atua, a planeswalker whose appearance so far I believe has been limited to Duels of the Planeswalkers. She has always been UG affiliated in the game and is a Merfolk planeswalker so we might well see her first card printed in Ravnica Block. 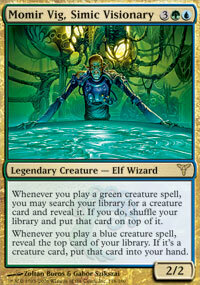 The Prerelease for Return to Ravnica will be a special one. In the same vein as the 'Pick A Side' Prereleases in Scars of Mirrodin Block, where players chose Mirran or Phyrexian, at the Return to Ravnica Prerelease you will get to pick a Guild. Each guild will have its own Prerelease card which you will be able to play with in the Prerelease. Also, in replacement for one of your ordinary Return to Ravnica boosters you will receive a Guild booster pack which features cards solely from your Guilds colours. There are some other things for paper magic players but I assume that the prerelease experience as described will be how it is implemented on MTGO. I imagine this will probably lend itself well to online play as there won't be the problems with availability that there are in paper Magic prereleases, where you might not be able to be a certain guild because they don't have enough packs. Wizards also plan to have the same Prerelease experience for Gatecrash. This seems like a very cool idea and I'm quite excited to see how this plays out when Return to Ravnica comes to MTGO. The first point of speculation regarding Return to Ravnica always seems to be about the Ravnica duals. At this point I think we'd all be very surprised not to see their inclusion. Several cards in M13 hint at the return of duals including Farseek, Arbor Elf over Llanowar Elves and the new Liliana. 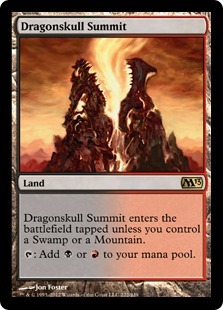 Perhaps even more telling is the reprinting of the M10 duals in M13. 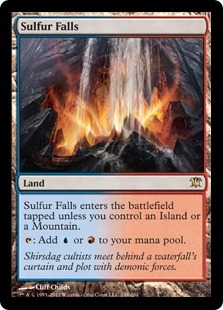 This is a move that has been criticised by fans and they feel it's about they mixed it up with the Core Set lands. Zac Hill, however, explained in his article that playing the M10 lands in concert with Return to Ravnica is very cool. If you've ever played Modern you'll probably know that the Ravnica duals play very nicely with the M10 lands and along with the Innistrad enemy M10 lands each Guild will have access to equally good manabases. A new source of speculation from my point of view is the Planeswalkers and how they will fit into the Block. As you can see at the top of the article, there is art from Return to Ravnica showing Jace alongside Izzet Guild Leader, Niv-Mizzet. 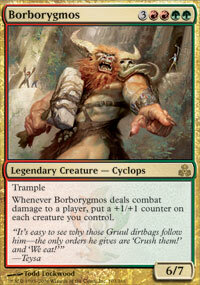 Also, in a piece of art from Gatecrash we can see Gideon is fighting alongside the new leader of the Boros Legion. This leads me to question whether or not we will be see Guild-aligned Planeswalkers in Return to Ravnica. I thought they might even go so far as to make a Planeswalker for each guild but Mark Rosewater confirmed that there will only be 2 Planeswalkers in R2R, one of which will be Jace, and a further 2 in Gatecrash, one of which is Gideon. 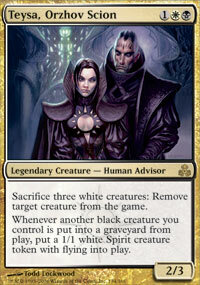 Alternatively they might just make the Planeswalkers mono-coloured, thus allowing more Guilds access to them. I'm interested to see where they go with Planeswalkers in this Block, especially with the notion that they might be representing different Guilds. Finally, we can speculate about some reprints that might be in the set. First off, I think that Birds of Paradise might well be coming back, it was left out of the Core Set but the last time that happened it was printed in the original Ravnica set, so I can see another reprint coming. Other cards that had strong flavour alongside the Guilds were the Guild Champions (which I've already mentioned), the bounce lands, e.g. Boros Garrison, the signets, Dimir Signet, and the guildmages, Azorius Guildmage. I think the concept of the Guild Champion will probably return though I imagine a lot of them will have changed if they do return to this concept. I could also see either or all of the other cards returning in the new sets but I think they'll try and keep it as fresh as possible with new cards. I'm really excited for Return to Ravnica, more excited than I have been for a new set in a while. There sounds like there's going to be a lot of good stuff going on and the art looks amazing. Also, if the duals are reprinted as expected then that will be a fantastic thing for Modern, which is a format I'm really enjoying. I hope Wizards can match our high expectations with an excellent block of sets. What do you think about Return to Ravinca? How to feel about what has been revealed so far? How do you feel about the Large Set/Large Set/Small Set structure? Liking the art? Let me know in the comments. I really like having sets "unbalanced", meaning some colors are/will be strong for couple of months before other colors rise. In my memory Ravnica was really nice for sealed deck, as every combination of 3, 4 and even 5 colors was possible. It is certainly an interesting dynamic to have the Guilds represented in different sets, meaning the power level of certain colours may well fluctuate. They will definitely have to have some good colour-fixing. Signets and bounce lands would work nicely in that role, as they did in the original Ravnica, but they might be looking to do something new this time out. We'll have to see. The ghost council looks a lot like Casper's brothers. Haha, yeah. Can definitely see Fatso in the back. Nice to see things presented like this! That said, there was a point of confusion from the panel that has since been clarified: Rosewater confirmed that the sphinx guildmaster of the Azorius guild *is* Isperia in RTR, but that fact apparently wasn't properly communicated. So, half of the guild leaders in Return had cards in the original Ravnica, even if they weren't necessarily the leaders at that time. Yeah, I thought it was a bit weird having the Sphinx be called Azorius and felt Rosewater might have misspoken, unless Isperia has changed it's name. Well Isperia certainly has grown if that's the case! I think that's a nice way of doing it, half new leaders and half old ones (or Champions in this case). Well done. Nice that somebody went through the effort to "transcribe" this and get it out to everybody. It is so much easier to refer to than a video. Furthermore, although some people have tried to do something similar, yours seems like the best to me, since it is simple, yet comprehensive. Great job. I figured it would be nice to get all the information into an article. Judging from the number of views the article has had in a sort space of time it seems like there was a bigger demand for that than I thought. I suspected that that would be a problem with the Mirrodin Besieged prerelease, but it turned out that people chose sides pretty much down the middle in that event, per Mark Rosewater. I bet that they were willing to take a risk on the guild thing because of the success of the Mirrodin Besieged prerelease and the fact that people split so evenly between Mirrodin and Phyrexia. With that said, there is a huge difference between two sides and five, and there is a high likelihood that there will be some guilds that end up overrepresented. However, surely each store will only have a certain number of each guild pack, and if you don't sign up early, you probably just won't get the guild pack that you want.